TeachPitch is very proud to announce its partnership with OneWorld Education Association, a leading Chinese education company focused on giving students the opportunity to undertake Global Learning and understand what it means to be a global citizen through their Global Youth Ambassador Project (GYAP). With a global network of 500 Primary and Secondary schools between Great Britain, the US, Canada, Australia, New-Zealand and China. GYAP member schools will be able to use the TeachPitch technology for the dissemination, organisation and discovery of the best online learning resources. 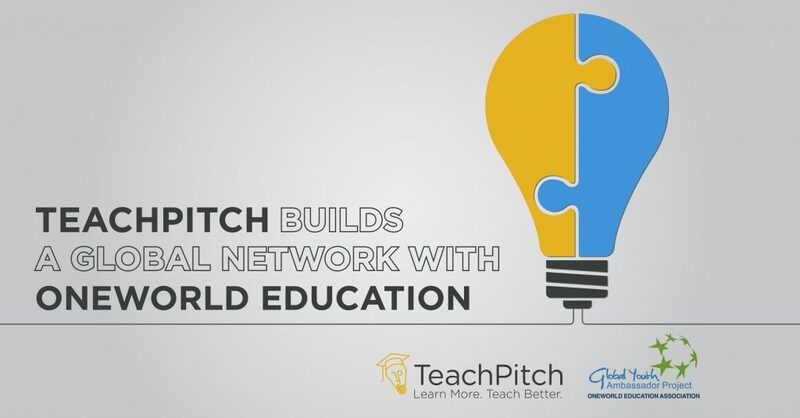 The partnership between TeachPitch and OneWorld Education Association will strengthen the communication between all GYAP member schools building a collaborative global network benefiting tens of thousands of students. “TeachPitch provides the perfect platform for all our GYAP member schools to share educational resources and inspirational lessons focused around our students across the globe,” said Mike Bennett, Director of OneWorld Education UK.